I open at the close. This “I” of course here refers to purse-strings. Not that it has not opened before. The Potter movie franchise has netted 6 billion profits in its decade long run and 20 billion in related merchandize, making it by far the most profitable series of movies ever. And with Deathly Hallows Part 2 pulling down the curtains, one need not be skilled in Divination to know that this one will net enough Galleons to fill many a Gringotts. As a movie it is strictly workmanlike, moving from one incident to another with little in way of exposition. Like the others in the series, it snips off many of the most critical parts of the Potter saga, and thus should only be seen by the converted, that is those who can fill in the gaps with their knowledge. At one point of time, the franchise used to pretend it was for those who had not read the books, now it has ceased pretending. Which at least is honest. Does the final installment have any surprises, anything special going for it? The special effects. Definitely brilliant. Anything else? Gratuitous glimpses of Hermoine Granger’s Sorcerer’s stones. Some good acting from the ever-dependable Alan Rickman and especially Daniel Radcliffe. That’s it? I am sorry to say yes. Hagrid’s heroism at the Battle of Hogwarts is criminally cut out, Fred Weasley’s death is given one-tenth of a second, and perhaps most irritatingly of all, Lord Voldemort and Belatrix Lestrange are made into cartoonish stereotypes of the “Nannie Nannie Boo Boo I am better than you” type as they shout NYEEEAAHHH!! from time to time. But of course Harry Potter is not about the movies at all, it is about the books. Indeed it is one of the greatest publishing successes of modern times and deservedly so for Rowling is a master at her craft, creating mood, suspense, environments and memorable characters like very few can. Having said that, Deathly Hallows is a novel I have always had mixed feelings about. Sure it is a good book, perhaps even a great book, but somehow I feel it dropped the ball at a very crucial place. Let me first say what “Deathly Hallows” , the book, did exceptionally well. Two things really. Throughout the series, Dumbledore always reminded me of Gandalf. Too much of him actually. They look almost the same (same white beard, same flowing gown), radiate the same kind of understated power and when they open their mouths, they speak gently and carefully choose every word. Its in Deathly Hallows though that one gets to see how different these two giant wizards from two different worlds are. J K Rowling ,during the course of an event at Carnegie Hall, let slip that she had always portrayed Dumbledore as gay. Now for obvious reasons, since Harry Potter is after all a mainstream young adult’s book, she could never explicitly show Dumbledore’s sexuality. But she does throw in a lot of hints—-about Dumbledore’s intense friendship with Gridenwald, the friendship that turned into enmity after the mysterious death of Dumbledore’s sister and Dumbledore’s reluctance to engage in battle with Grindenwald. Says something, doesn’t it? Ever since he sidesteps the question of Harry as to what he sees in the mirror of Erised, I have always perceived an air of epic sadness about Dumbledore and while much of it might be regret at the death of his sister, there is something else which Rowling never says aloud but leaves the reader to fill in, should he want. What makes Dumbledore so fascinating though is not the gay love story that is never told but his manipulation of people. In his early days, Dumbledore believed in totalitarian rule of wizards over Muggles, in the interests of the “greater good”. Only later in life, after his mysterious falling out with Grindenwald, did his political opinion change. But he never lost the arrogant belief that he, and only he, was wise enough to know what this “greater good” was. People like Potter and Snape became pawns, pawns to whom he would reveal only that much as was needed in order to get them to act as he wanted them to, in essence depriving them of choices they could make if they were given all the information. 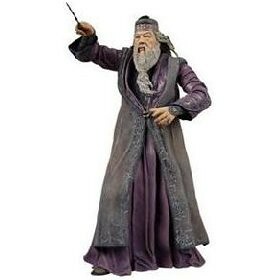 Dumbledore, behind the mask of geniality, is somewhat inhuman and cold, not being averse to using people in order to attain his higher ideals, a fact pointed out by his estranged brother Aberforth. No where is Dumbledore’s hard- hearted edge brought out better than in in the conversation with Snape Harry retrieves from the pensieve. In it when Dumbledore informs Snape that Potter has been protected for so many years just to be used as a suicide weapon against Voldemort, Snape, otherwise always very respectful in front of Dumbledore, cannot help but exclaim in shock, “Now you tell me you have been raising him like a pig for slaughter”. In a way Dumbledore himself was very aware of this dark control-freak side of him, which is why he refused the Ministry of Magic three times. Yet he could never truly change. Now Gandalf may be “Gandalf the Grey”, but he is never this grey. And definitely not gay. Give me Dumbledore over Gandalf anyday. Way more nuanced. Then of course there is Snape, Harry Potter’s most-loved character, a marvelously etched anti-hero, with by far the greatest emotional depth of anyone else in the series. The dilemma of Snape is fascinating—–Harry Potter, a single entity, captures all that he has ever loved (Lily Potter) and everything he has ever hated (James Potter). On one hand, Snape seeks revenge for James Potter’s bullying and humiliation of him by reflecting the same behavior back at Harry Potter. At the same time, he wishes to a tone for his role in Lily’s death, the only person in the world who ever treated him like a human being, by being Harry’s protector. I have always admired the small things about Rowling puts into the Snape character like the fact that he is a skilled Occlumens, an ability that helped him to hide his treachery from Lord Voldemort’s intense mental probing. It is only natural that Snape, reviled and laughed at all all his childhood and without any friends, would be skilled at locking his mind up from the world in contrast to popular and loved Potter, who try as he might, is unable to master this skill. Many fanboys were cut up at the way Rowling kills Snape, expecting a grand encounter between Snape and Voldemort. But I think Snape’s death, inglorious and silent as it, was perfectly in consonance with his character. Snape is the dark knight, not for him the dazzlingly heroic exit. Leave that for the heroes. All he gets, as the reward for his bravery, is the searing pain of Nagini’s venom locking his body up and a final glance at Lily Potter, as reflected in the eyes of her son. History may remember the heroes but the readers, the readers, will always love Snape. Which brings me to the biggest weakness of Deathy Hallows. For much of the series, Lord Voldemort is in the background. When he appears, it is in short unexpected and terrifying flashes—drinking the blood of an unicorn or inside an enchanted book or inside a graveyard. In Deathly Hallows, he gets extended time and after all the brilliant build up, he is a let-down. We were told that Lord Voldemort is a master at manipulating people, which he does by playing on their weaknesses and insecurities. Unfortunately all we see is him doing in Deathly Hallows is cursing this person and then the other, like a spoilt rich kid dealing with indentured slaves, more Azgar Jurrat than the most evil wizard in history. And when he finally dies, it is essentially because of him not properly understanding the theory of wands. Epic villains ultimately meet their end due to some basic flaw in their character. In Harry Potter, Voldemort’s flaw was that he does not understand the concept of love. But his ultimate downfall does not come from that. It comes primarily because of an intellectual deficiency, almost like Darth Vader coming to fight Luke Skywalker to find that lighsabers need to be charged every week. This is particularly jarring considering how Voldemort is built up as an Einstein among wizards. Another thing I felt that weakened his all-knowing aura was how was not able to feel the fragments of his soul being destroyed (they rectified this somewhat in the movie). It’s not as if Rowling cannot paint evil characters—-Dolores Umbridge, with her Madhuri Dixit-style Hum Aapke Hain Kaun “ahem ahem” and a nasty sadistic streak, is severely disturbing. But Lord Voldemort falls far short of Dolores Umbridge in menace and this, in my opinion, dilutes the essential conflict at the heart of the saga. Another thing that waters down the final impact of Harry Potter (and a few critics have pointed this out before too) is the rather upbeat, crowd-pleasing ending wherein Harry Potter ends up a suburban dad. I am not saying that Potter should have died in battle (that would have been predictable) but the elemental evil he had touched should have left some effect on him. Like how the burden of being the Ring bearer ultimately leads to Frodo’s demise. Evil is defined by its persistence and in Harry Potter, it is absolutely vanquished (JK Rowling concludes with the fact that the scar on Potter’s forehead has never burned ever) which kind of makes you wonder—was Voldemort really that evil or just a poseur who got a nose job like Koena Mitra? However disappointing Voldemort may have been in the end and consequently a bit of a let-down Deathy Hallows, there is no denying that it is still a wholly entertaining book. Unlike the film with its name of course. While I remember a tightness in my heart as I turned the last page of Deathy Hallows, all I will recall of the movie will be a tightness in my forehead brought on by the 3D glasses. And a Voldemort-type face in my mind with the tag “studio executive” on his lapel saying “The saga of Potter will only truly have finished when none here are loyal enough to pay up in his name”. Nice post. You can not enjoy the movie without the book however the greatest success of the books lies in the fact that despite all these magic they still feels real, i fees for everything. Nice to know you enjoy Rowling too. Am going for the movie tomorrow! I got a lump in the throat too when I finished the 7th book! I had enjoyed the first six books massively and felt just as massively let down by Deathly Hallows. The most glaring flaw was the one you pointed out – Voldemort being more cartoon than super-villain – but there were several other prickly niggles that felt like a let-down after the way she had built up the story in the first 6 books. Felt like DH was written just so she could complete the series, give a happy ending and rake in the profits. I remember reading that you were familiar with many pop-culture phenomenons of current times except Harry Potter. When did you rectify it? And yes, movies are useless if you haven’t read the book. The battle part disappointed, but maybe the intense portrayal of duels and all the mayhem as described in the book (like death of Fred Weasley) would have come in the way of a user friendly PG-13 rating. Sweet read.Nostalgic revisit to our beloved characters.It would have been nice if you had written about hermoine too.Her role was equally important in the final book which the movie could never do justice to. I would always remain an admirer of Rowling for the way she planned out the series ;the book and characters “grew together” with the readers. The final book is, IMO, the best book in the saga. I like the way she left many things unsaid for readers to draw their own conclusion;why dumdeldore maintained such secrecy about deathly hallows, why his will was full of puzzles, why harry didn’t die although dumdeldore told snape that he had brought him as “pig to be slaughtered”, and lastly what was that king’s cross station about? All the questions have answers although she never said it loud. I just read your article in DNA, too. It seems so many of us actually read the book after watching the movies, wondering if the movies are enjoyable and visually appealing, how good will be the stories. The final movie had brought an end to what we all have grown to love over the years. The movies are nothing compared to the books and after watching the Deathly Hallows part-2 yesterday, I am quite disappointed with some of the deviations. For me, the build-up in part-1 was much better. It feels wonderful to read various accounts of the HP lovers. I blogged about it too. It was sort of a tribute to the good times that Rowling presented us with. did you catch the teaser of dark knight rising and cap america trailer? views? Sid Mohata, Captain America couldnt care less. Dark Knight Rising…too brief. Thanks, I was hoping you would post on HP eversince I saw your Snape pic on FB. For all of us cult followers it is disappointing that is has all ended, nothing more to look forward to despite the inadequecies you have mentioned. Hoping Pottermore.com would have something new to offer. Among the many sparkling examples of Rowling’s brilliance in storytelling and weaving the characters, there is one more thing that kind of feels woven into a pattern at the end of the book (part of which you aptly point out as Harry Potter in his new avatar). That being: the young boys and girls almost all find an equal counterpart in life who mirrors their level of priority or importance in the series. Ron and Hermione, Neville and Luna, etc. – something which you almost knew was coming. Oh btw – there is a typo: “Bellatrix Lestrange”. Very well-written, Arnab. Exactly my views. I was devastated at the murder of the climax of the series that was never there. While JKR made me read through the night, WB actually made me yawn throughout. But I felt Daniel Radcliffe’s acting was laughably bad..
” Dolores Umbridge, with her Madhuri Dixit-style Hum Aapke Hain Kaun “ahem ahem” and a nasty sadistic streak ” – I knew JKR had copied the story from old bollywood dara singh movies!! Jokes apart – Rowling deserves thanks for everyone who has despaired of kids not reading books at all!! I have particularly loved her facility with naming – whether characters or things. the names roll of the toungue and carry a hint of their being – Slytherin house with Snape at housemaster could only be that!! Another act of genius of Rowling’s part was to insist only Brit actors are taken for the movie – that severely limited the damage that hollywood could do to the story in moving from book to screen. Totally off topic but if you are looking for really nuanced characters, I would suggest a Song of Ice and Fire by George RR Martin. HBO has already made television series on the first book – Game of Thrones – which has already been telecast in US and expected to be telecast in India starting this August. Harry and Frodo differ in fundamental ways. Harry never desired power. He was never swayed or influenced by evil. Frodo was a wimp who would have surely died if it weren’t for Sam (although you could say the same about Harry and Hermione). So, Harry , perhaps, deserves a happy ending. Great to know you are not a muggle! I am die-hard fan of Rawling and despite my age (47) have been crazy enough to book the 3rd book in advance, stood in a line at 6 in the morning to get my book, and then fought with both my kids to be the first one to read it. I liked your analysis, especially about Snape. Somehow from the 2nd book onwards, he started gaining my sympathy. However, you missed commenting on a unique dimension of Rawling’s writing: her understanding of child psychology and her tips for children (without getting into the psychology jargons) to deal with the world. So boggarts are won by imagining them in a funny avatar. Message is, laugh your fears off. Dementors are won by remembering your happiest moment (and eating chocolate). Message is depression can be fought by happy memories (I differ with that though. Happy memories make you sad during depression. I feel what fights depression best is hope, something to look forward to). Also, Tom Riddle’s diary tells children to be careful of strangers lurking in internet chatrooms. The mirror of Erised , a metaphor for self image (be happy with what you are, don’t try to be what you are not). And my best is the sorting hat. Put on your head, it speaks to you (self-analysis). One voice (hat acts as your brain) tells you that you fit in category A, the other voice (your heart) tells you that you don’t want to be categorized as A, so you go by your gut feeling. I like what you’ve written about the evil as personified by Dolores Umbridge and Voldemort. I’ve always felt Dolores Umbridge was a far more evil and menacing character than Voldemort, and you can see the ease with which Rowling writes Umbridge. It’s as if she’s channeling all the hurt cruel, manipulative, sadistic people in positions of power have ever made her feel. And that’s what makes DU scarier for us than Voldemort, too, I think. I mean, we all know bosses, spouses, friends who have a bit of DU in them, right? But our chances of coming across a dark wizard with enormous magical powers are, well, pretty slim. I too found the plot of deathly hallows to be too complicated…I feel that by the end of the series, Rowling got tangled in her own web. she could not have harry actually kill Voldermot, as that would taint harry potter..it is difficult to have a 17 yr old youngster simply knock off the greatest wizard just like that..and the connect between harry and Voldermot needed to be fully explained before the end of the series. she also had to build a complicated plot of the elder wand and how its allegiance shifts so that finally you can have Voldermot trying the banned curse of ava kedavra and finally killing himself, thereby resolving the first 2 complications I mentioned above. what i fail to understand is why Voldermot himself never tried to collect the deathly hallows himself..if he believed in the elder wand, there is no reason not to believe in the other two…and he could himself have searched and found all 3 in his lifetime if harry could in just one year!!! Oh, yeah. But in your writing you missed a few opportunities to show the extent. For example, he asks Snape to give Harry the information that Harry is a horcrux; possibly because when the time comes, Snape can have enough hatred for the man (dumbledore) to kill him. But, Dumbledore possibly knew all along that harry would be safe (He assumes Harry will acquire the deathly hallows and as he understands Voldemort, voldemort would be the person to kill Harry) but he does not tell Snape that. Only the information that is required for the man. I’ve always maintained that two versions of the films were required – one for philistines and the other for purists. I too sorely missed things from the book that did not make it on celluloid for whatever absurd reason. Any why are all the HP movies so (relatively) short? If we could watch the LOTR trilogy for 3.5 hrs per film, I’m sure all the HP fans would be more than pleased to sit 4 hours in the theatre if it captured every important scene. I am a big fan of the potter series especially the books. The last movie I agree was a bit of a disappointment. They should have stuck to the original plot in the book instead of making unnecessary modifications and glaring omissions. Also, it is evident that the male characters in Potter are moulded by a lady’s hand if you notice critically. Hence unlike Tolkien’s characters, none of these guys (even Sirius) is a complete “macho warrior”. Not that there is anything wrong with it, but the way some of these male characters think and act are a little bizarre. Like Harry constantly pouting and shouting in the Order of Phoenix. Harry and Ron’s problems and quarrels etc. Besides that, this is an awesome literary work that I will always cherish as a part of my book/DVD collection. With respect to Harry pouting and shouting in OP, that’s because he is now adolescent. In my DNA article, I had talked about how expertly Potter develops in his skin through the saga and this petulant Harry of OP was thus a vital part of his journey from cute kid to mature hero. To those who think Harry does not die due to the Deathly Hallows that he has: I am confused. I interpreted that Harry did not die because he had a bit of himself within Voldermort (when, in 4th part, Voldermort rises with the aid of Harry’s blood, and Dumbledore is happy to hear that happening). Mainly Lord V would not have died till all the horcruxes were destroyed, so his “killing” Harry helped to destroy the ‘Harry’ horcrux, but in the same way, Harry could not have died till Lord V lived, as V rose from HP’s blood. The stone of immortality only helped ease Harry’s temporary death. Or maybe I am wrong…my fascination with Rowling’s books remain due to these riddles. And the characters. And the simple thought of ‘good over evi’, ‘love over hatred’ and ‘people are defined by what they choose to do with their life, not how they are born’. And the relevance to real life. Ok, the list goes on. I was just wondering about the lack of characters like Aragorn/Eddard Stark etc in the books …. a rough, resilient yet honourable warlock …..
She probably wanted to put Alabastor Moody and Rufus Scrimgeour in that category, but note neither of them get a “hero” like halo around them. Ofcourse it’s Rowling’s literary right to cast as she deems appropriate. Anyway, Did you know that Radcliffe is on Broadway this season ? I’m thinking of giving it a watch. Let’s see how good he is on stage. You got to write about the wendi murdoch episode…..
Never really liked any of the movies, saw them (as opposed to watching them raptly) because they were there. None of them does any justice to the books. Firmly believe that a series or a mini-series by HBO or Showtime would have immensely helped to faithfully recreate the world and characters woven by Rowling. Nice post. Excellent argument about Voldemort and Snape being well etched out. I completely agree. Also, really liked the part of Dobby and he conversion of Kreacher, reinforcing the running theme of house elves being mistreated from the beginning of the series. The Aberforth angle was nice, but the fact that he has a tunnel leading right to the room of requirement was somewhat too convenient. How come this was not known by anyone but the DA and the Order or the Phoenix? More flaws in Voldemort: Voldemort pre-supposing that no one knew about the room or requirement and putting his horcrux in it, was quite hard to believe. Also, why doesn’t Voldemort ever apparate when he receives a summons? He always flies when he is called. I understand not apparating when he is called by the Carrows in Hogworts. But not apparating at Malfoy Manor, when he is called by Bellatrix, doesn’t make sense. Also here’s a conjecture: On examining “The Order of the Phoenex” a little closer, you may notice that Snape calls Lilly Potter “Mudblood” in the memory. The scene ends at that. But in DH, this is conveniently explained by saying that Snape was only trying to show that he didn’t care, and that he went to Lily later and apologized. I suspect that Rowling did not arrive at the Lily Potter – Severus Snape angle until she began the 6th book. Which, if true, then means that Snape was evil all along and Rowling changed course only when she started the 5th book, which is to say that in patching everything so well, she is extremely skillful, and a master of her craft nevertheless. There are many logical blunders in the Potter stories, an example is the non-verbal-spells. It is strange to find Voldemort scream out his spells. I choose to gloss over these fallacies and enjoy. Regarding the point you made regarding Voldemort not apparating into Malfoy Manor, I guess an explanation was attempted by Rowling. You cannot apparate across long distances. You need to come into a ‘range’ and only then you can apparate. When Bellatrix summoned Voldemort, he was busy with Grindelwald and that was very far away from Malfoy Manor. I think it was mentioned that Voldemort will first fly into the ‘range’ and only then he will apparate. I do not remember the exact details as I read HP6 a while ago. So please excuse if inaccurate. I think that the movie did its fair-share of justice to the book. The pivotal aspects were depicted with full fidelity. Other than sore thumbs like Harry not using the elder wand to repair his wand and the Harry-Voldemort wand duelling, the movie was pretty good. Villains, once they come out into the open do not seem as much scary. Even the supposedly most powerful villain Sauron turns out to be an eye only. Or in his physical form, a mere mortal whose fingers can be cut off by one swift slash of Isildur’s sword! 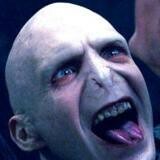 Arnab, you totally nailed my disappointment with Voldemort in Deathly Hallows. IMO, another failure in Deathly Hallows is that Rowling seems to try hard to make you wonder if Dumbledore was actually evil (the whole Grindelwald business), but it just doesn’t wash.
And the whole “Deathly Hallows” business culminating in anticlimactic wand gymnastics is just vague. And the grand big revelation about why Dumbledore trusts Snape completely despite everyone’s misgiving turns out to be “Snape lurrves Lil-ly”. Oh please !! The least I’d expected was that Snape was bound by an Unbreakable Vow to work for the good side or some deeper magic. Overall, I found Deathly Hallows to be a bit of a wash-out. But then wouldn’t you say evil (evil doer) is a bit of damp squib in the end? Look at the Osama debacle, the sicko who butchered kids in the Delhi farmhouse, our netas in the common wealth games, 2g scandal et al. They are all smoke and mirrors and when the wind blows it all away, they are just a bunch of whiny runts like the Wizard of Oz. Harry Potter has been one hell of a ride. As far as the film adaptations are concerned, Lord Voldemort was disappointing right from the start (movie 4). Raph Fiennes could just not portray the menace that an insane terrorist would instill. Perhaps Jeremy Irons would have been better suited for the role – his portrayal of (an animated!) Scar had scared me silly when I had watched the Lion King as a kid. Or perhaps in today’s violent world with things blowing up every second day, most of us desenitised people could hardly hope for a scary super villain in a (sort of) kids’ movie. After all, there were hints throughout the series of a Lily-Snape pairing, both in canon and in interviews. JKR had informed Alan Rickman of the Snape-Lily angle. I think that it is because of this information that Snape is seen to be kinder to Harry in the movies than he is in the books, an interpretation of Snape’s character that annoyed me. Oh, yeah, the Snape-Lily angle was obvious right from Book 1, when Dumbledore mentioned that Snape hated James Potter. Q: Why would Snape hate James ? First Guess: Could it be a love angle ? Maybe James got Snape’s girl ? But then I thought, this is just waaay too obvious. Given Rowling’s talent for neat twists in the first few books – Quirrell being the villain, Tom Riddle turning out evil, and of course, the incredible turnaround on Sirius Black ! – I expected the answer would be something totally different, but obvious in retrospect. So, the whole Snape loves Lily thing was just stupid. In fact, that was the problem with the Deathly Hallows book. It ends up tying all the loose ends, but in a completely predictable and rather insipid manner. But then wouldn’t you say evil (evil doer) is a bit of damp squib in the end? Its possible Rowling was trying to do that. For example, all the revelations in Book 6 went to show that Voldemort wasn’t some mysterious and invincible Dark Lord – just a talented boy, with an ordinary name, who went very wrong. And so Voldemort dies, not with a bang, but a whimper. But the attempt at realism seems to detract from story value, I’d say. Agree with Gargi, a movie for purists would be great fun. I missed Hermione do Snape’s challenge in the 1st film. Her skill and brilliance are undermined in every movie, and minor characters are generally completely ignored. Perhaps they can serialize it like the Jeremy Brett Sherlock Homes series. That way the HP franchise can milk another billion. @Bekarbokbok, “Q: Why would Snape hate James ?